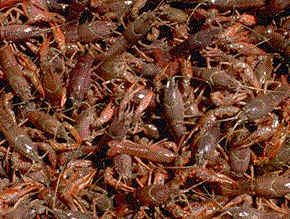 Crawfish farming developed as an means to provide consumers a more reliable source of quality crawfish. From just a few experimental ponds in the 1950s, Louisiana’s pond acreage has increased steadily to over 100,000 acres. Crawfish farming fits well into many existing farm operations by using marginal agricultural lands, permanent farm labor and farm equipment during off-peak farming periods. 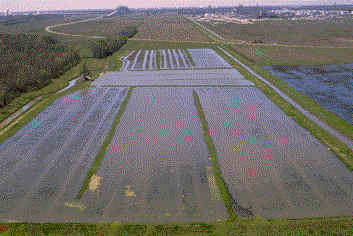 The predominant production scenario involves producing a crop of rice and leaving the unharvested portion of the plant to serve as a crawfish forage. 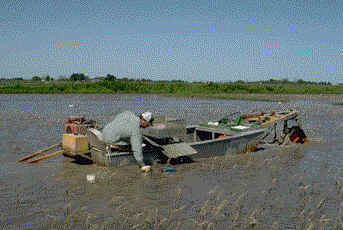 Harvesting occurs during February - June and requires specialized equipment such as harvesting boats and wire mesh traps. Farmers rely on reproduction by unharvested, holdover crawfish to produce the following year’s young.